Cleveland, OH and Boston, MA – MPE Partners (“MPE” or “Morgenthaler Private Equity”) announced today the acquisition of Cantrell, a U.S.-based manufacturer of equipment and systems for the poultry processing industry. Cantrell will join with Gainco, a division of MPE’s portfolio company, Bettcher Industries, Inc. (“Bettcher”), to form a leading national provider of poultry processing equipment and parts. BakerHostetler served as legal advisor to MPE. In the nearly 50 years since its founding in 1972, Cantrell has earned a reputation for designing and delivering quality products and parts that meet the needs of the poultry processing industry. Among the products the company manufactures are evisceration and picking equipment, second processing equipment, wing segmenters, vacuum systems, and spare parts. Cantrell sells its products to leading poultry processors in the United States, Canada, and Latin America. Cantrell is headquartered in Gainesville, GA.
Headquartered in Birmingham, OH, Bettcher Industries, Inc. is a leading developer and manufacturer of innovative equipment for food processing, foodservice, industrial, medical, and other industries. Gainco, Inc., is a major provider of solutions to optimize yields in poultry and meat processing plants, with offerings that include weighing, inspection, trimming, and deboning applications. Like Cantrell, Gainco is headquartered in Gainesville, GA. This close proximity will facilitate shared collaboration in developing new products and solutions for customers. MPE Partners (“MPE” or “Morgenthaler Private Equity”) seeks to be the preferred partner for entrepreneur-, family-, and ESOP-owned companies. Based in Cleveland, OH, and Boston, MA, MPE invests in profitable, lower middle market companies with EBITDA between $5 – $20 million. 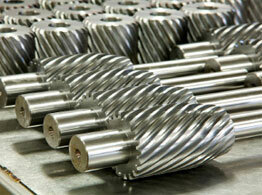 MPE has two primary target investment areas: high-value manufacturing and industrial services. For more information, please visit www.mpepartners.com.